Pre-rinse CIP improvement, Fluid consistency, Milk FAT, Cream separator, Water push optimization, Juices consistency, Greek yogurt, Yeast growth,Yogurt color, Fruit consistency in Milk, Total Suspended solids TSS. HAZE, Reverse osmosis RO monitoring 5 NTU, COW water turbidity monitoring, Chill water early contamination, Phase transition detection, Fruit consistency, Ultra filtration, Crystallization Evaporate control Permeate water polisher 5 NTU. HAZE control, Opacity control, oil in water. 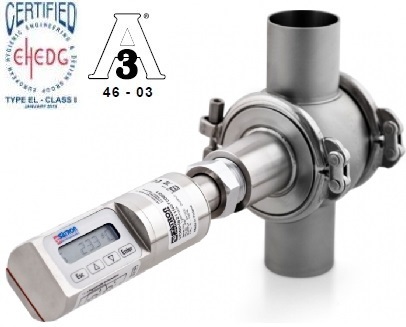 Perfect for BRIX, Salt, Sugar, Moisture, Milk, Ultra filtration, Permanent real-time concentration measurement, Highest resolution and precision, For applications with very low solid concentrations, Stand-alone sensor with integrated electronic Configurable digital switches, Sample temperature up to 300°F, User defined scales programmable, liquid based or ultrasonic cleaning devices. Milk powder Bulk density prediction -Chocolate viscosity -Oil viscosity -Curd density prediction -Polymer melt -Candle melt -Sour cream consistency-Cream thickness. Absorption, turbidity and suspended solids meter. Near infra red or Green Wavelength available, Hygienic design, Retractable, Very Precise and reliable. Rotary valve adapted for Turbidity, pH and pressure probes. 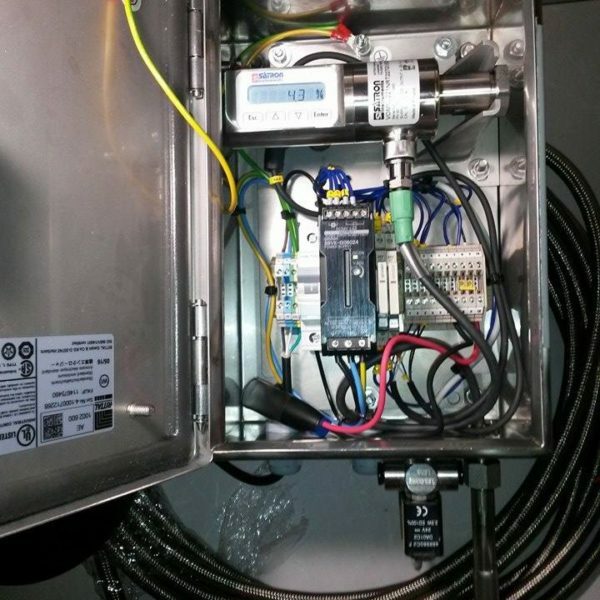 Easy pH probe removal during production. Automatic rotation and cleaning. pH probe lifetime extended. Calibration intervals reduced. Satron Inst Patent. 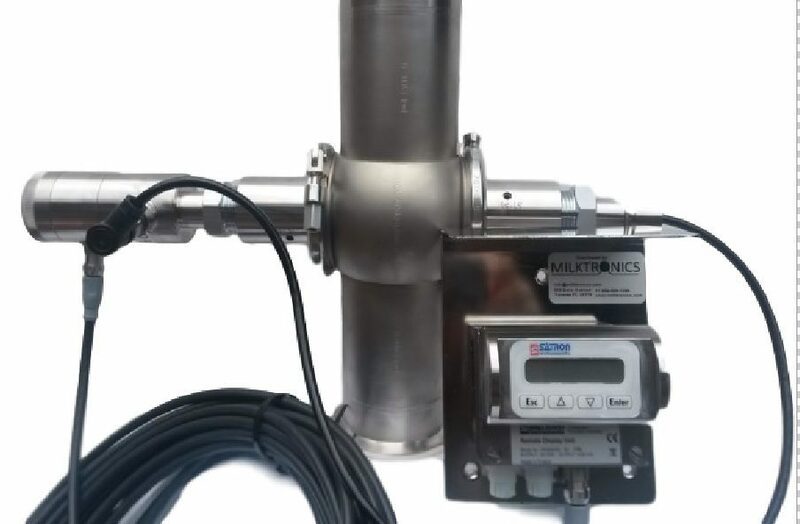 Milktronics is specialized in online instruments such as Turbidity, suspended solids, Refracto meters and viscosity meters. Water consumption reduction, Phase transition, CIP improvement, Ultra Filtration, Reverse Osmosis RO, COW Condensate of Whey, Waste water. We serve food and beverage, beer, chemical and sugar industries in North America. ©2018 Milktronics, LLC. All rights reserved.